In one sentence, what we have here is Doom set in the Alien films’ universe. It’s a combination that isn’t revolutionary, but surprisingly (and pleasantly) for a game using films as its reference point, Alien Trilogy is about as good a merging as you could reasonably hope for. Despite what the name may imply, it wisely doesn’t go for a blow-by-blow retelling of the three films – it is a corridor shoot ‘em up after all – but uses the franchise’s trademark thematics, chiefly the sci-fi environments, meaty weapons and memorable enemies to produce a thoroughly enjoyable venture. One of Alien Trilogy’s most notable successes is the superb atmosphere it creates straight off the bat. Dank, dingy corridors with restricted draw distances are something of a staple among Doom­ clones, but Probe Entertainment use it to keep the player on their toes. It handles as assuredly on a PlayStation controller as the aforementioned classic, with the only real niggle being the need hold L2 and one of two face buttons in order to aim up or down (for the most part unnecessary anyway) as its incredibly cumbersome. Still, it creates tension through a plethora of neat features and clever set-pieces. 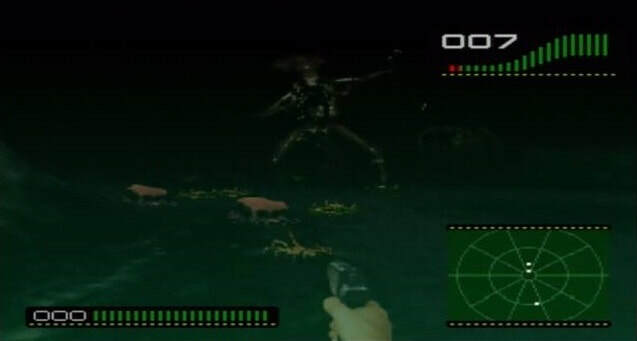 The face-hugger enemies are a great example of this; not only springing out from vents after you pass them, but also jumping out from ammo crates and generally haunting the corridors with their scuttling. Environments smartly mix claustrophobic, gloomy corridors with overly-large rooms such as mess-halls and science labs, meaning you almost always are made to feel either caged in by the surroundings or exposed when they open out. Certain rooms employ the films trademark soft blue lighting, in many cases flickering and leaving the player to squint and edge around corners not sure of what lurks ahead. 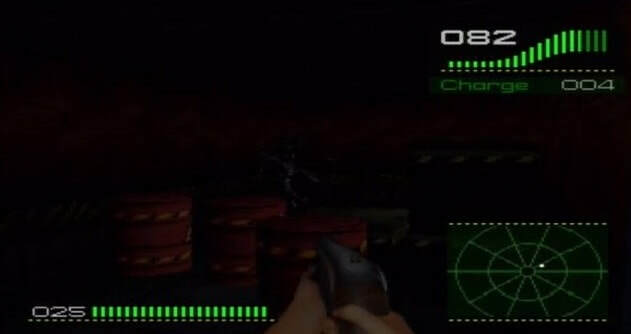 Other Alien paraphernalia adds to the experience; the pulse rifle’s high-pitched chattering is instantly recognisable, whilst the motion detector is a stroke of genius as it can help the player ascertain when the aliens are moving though not always specifically where they are, such as if they’re on the ceiling or underfoot. The most commendable facet of the experience is perhaps its soundtrack, a beautiful interpretation that plays on the sombre, mysterious accompaniments of the films, further serving to build a feeling of isolation for your one-woman army. Each mission ends when you reach an elevator, though the extent to which you complete your mission objective determines where you’re taken next. The task may be retrieving ID tags from the bodies of infected marines, turning off steam valves or locating weapon caches. Get a low percentage, and you’ll have to retry the level, a middling effort will see you progress, whilst completing the objective to 100% allows a visit to an ammo dump that would otherwise be passed over. These are all about risk and reward; enemy-free sections with lots of ammo and health, but you have to reach the exit in 60 seconds. 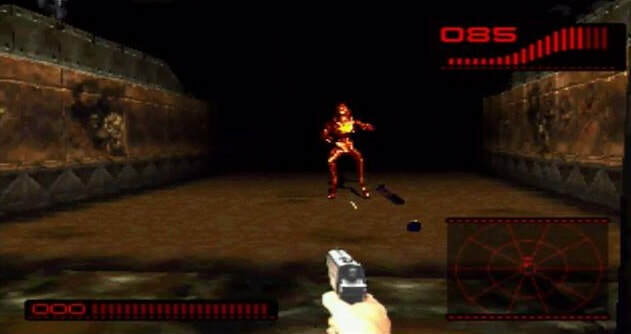 ​Mimicking Doom’s visual style means Alien Trilogy’s pixelated sprites are unimpressive, but the majority of the game actually looks decent. The presentation in particular is excellent, everything from menus, FMVs, inventory menus, right down to the head-up display are all very swish. The levels are smooth and feature some good interiors to break up the corridors, whilst several areas feature destructible walls that reveal hidden stashes and routes. It’s bags of fun, with enough weapons and enemy types to keep blasting fans happy. The supply of levels is pretty generous too, pitching around the 20 mark if you exclude the ammo-dump interludes, and that means for quite a few hours of play, with additional difficulty settings proving the icing on the cake for those looking to ramp up the pressure. 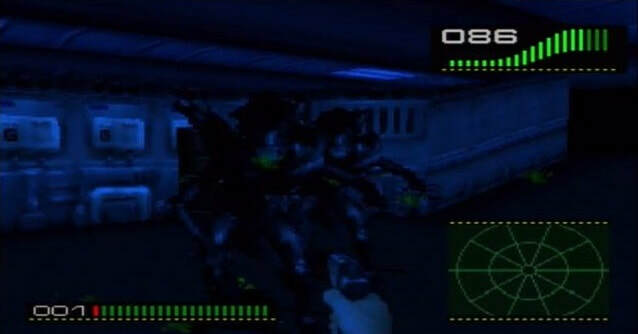 Among the last of a dying breed, Alien Trilogy is a reminder of how fun a pure old-fashioned corridor FPS could be, as well as recognising with uncommon accuracy the merits and pitfalls of following cinematic source-material.